The Analogue system is the traditional type of radio, which has been around many years. Unless you have purchased a system fairly recently then it is likely that you have an analogue system. We can still supply analogue radios, though some manufacturers, such as Motorola, have stopped manufacturing them. If you have an existing two-way radio system that has been in place for a few years, then its probably analogue. 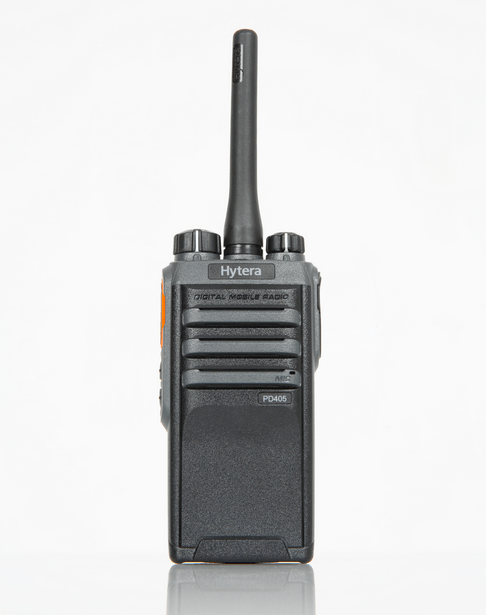 The good news is that manufacturers such as Hytera have introduced so called ‘migration’ radios. Migration radios, such as the Hytera PD405 are digital radios that are also capable of receiving an analogue signal. What this allows you to do is buy a new radio such as the Hytera PD405, and use it with your existing analogue radios, as you start to migrate to digital ones. If you purchased two Hytera PD405 radios for instance, they would be able to talk to each other in digital mode. They would also be able to talk with the existing analogue radios. Migration radios, are therefore a great way to cost effectively migrate you radio fleet. You can do it slowly, and save having to invest a large lump sum at once.